In an absence of any scalable IoT business data analytics tool, at first look you may say that your IoT business is flourishing but you need a firm base and reliable filtered business data analytics tool in order to draw a valid conclusion. Your business decision is directed to a great extent by the conclusion drawn from the analytical report of your business. IoT device generates large volume of data that are needed to be managed and stored safely. 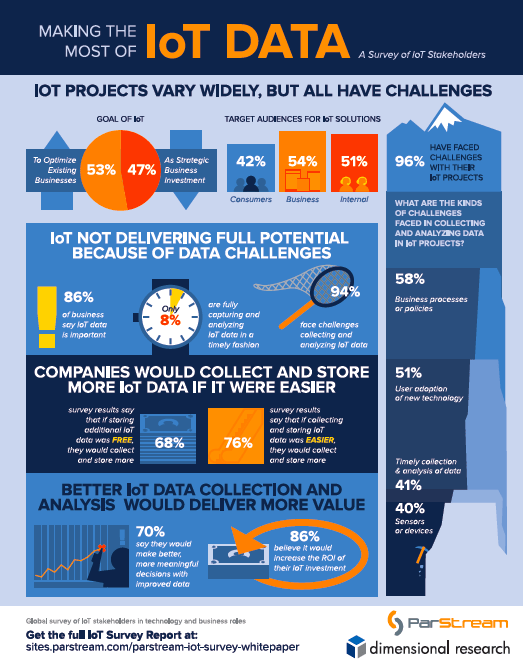 This large volume of data generated by IoT devices are raw data and need proper data processing or data mining to obtain relevant data needed for analytics. This filtered data is used by an analytical tool or software to prepare a presentable, reliable and easy to understand insight report of your IoT business that further supports your business decision. Business data analytics report not only helps in decision making but also makes you aware of strength and weakness of your IoT business and assist in strategy formulation and implementation to tackle various business challenges and grab various emerging market opportunities. Dell has empowered its users with a powerful business data analytics tool named ‘Dell Statistica’, which is capable of delivering a wide range of solutions to various sectors say process optimization in the manufacturing sector to fraud detection in the banking industry and it even allows analytics on the gateway providing faster local insights. Predictive Business Data Analytics – Dell Statistica delivers analytics report on a reliable ground and with high accuracy. Statistica is inclusive of data decision, Live Score, text mining, predictive analysis and data discovery delivering insistent suggestions to top level decision makers and lower level workforce. Enhanced Text Analytics – As Statistica Is laced with data miner tool extension, it helps to analyze unstructured text, process and summarizes to produce meaningful data. A feature of drag and drop is enabled. Provides suggestions which are based on metadata obtained. Enterprise Wide Solution – It streamlines Data blending, data discovery and real-time data discovery, visualization and deployment and other tools that help an enterprise to detect and avoid fraudulent activity and assist decision-making process. Real Time data discovery and Visualization – Real time data monitoring that enables business analyst and other employers to coordinate and extract data via presentable visualization and dashboard. Simplification of Big Data – Various tools helps to filters large volume of raw data and converts it to a meaningful and vital piece of information. 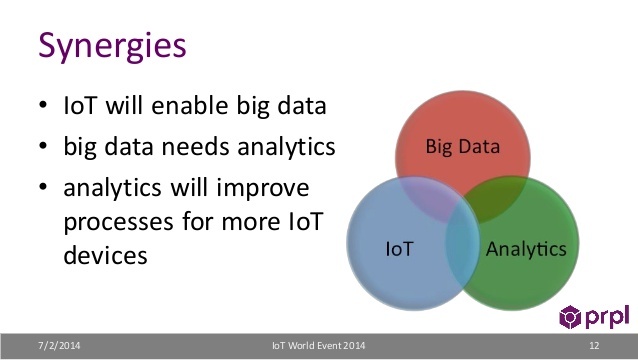 How IoT and Big Data are inter related. It offers a platform for operational intelligence that assists you to search, monitor, analyze and visualize machine-generated big data from various websites, networks, and other IoT devices. In a recent announcement, Splunk is to deliver Real-time Analytics and Visualization for AWS IoT Service. Business Data Insight – Splunk is capable of delivering business insights from machine data, it collects, analyzes and provides security to massive streams of machine data generated by IoT devices. Splunk helps you to collect and systematically structure all type of machine data of your IoT organization. Data Access and ETL – Splunk is specially designed to collect and index a large volume of data in real time and thus, it does not consume much time to extract, process and Extract Transform Load (ETL) data. Operational Visibility – It helps your business to gain end to end visibility across various operations of your business and break down silos across your business infrastructure. Proactive Monitoring – Splunk also monitors system in real time to detect any kind of issue or problem and any potential attack before it impacts your customers, service or further to your revenue. Search and investigation – In support to proactive monitoring, Splunk identifies and fixes issues, correlates events across multiple data sources and automatically detects patterns across a large volume of data. In addition to above features Splunk also offers you features of measurement and verification, Root-cause Analysis, Capacity Planning, Anomaly and Outlier Detection, Cyber-security, safety and Compliance, Customer Intelligence and Device Intelligence. Hitachi Data System (HDS) had announced its intention to acquire Pentaho in February 2015 and had completely acquired Pentaho in June 2015. HDS is specialized in performing real time as well as predictive analysis and intent to combine its strength with that of Pentaho’s dashboard and data visualization, data discovery and analysis. Together HDS and Pentaho have launched Hitachi Unified Compute Platform (UCP) for SAP and HANA, empowering its users to refine and process a large volume of data from any source. Data Integration – To present big data into a presentable form, it blends big data and all data sources making it handy for you. It uses various visual tools like Graphical ETL (extract transform load) tool to load and process big data sources in presentable form thus minimizing coding. Business Data Analytics – It empowers you by providing a platform where you can access, discover, and blend all type and size of data in a simplified manner. For speed of thought analysis of large volume of data, in-memory data caching scale is enhanced. Embedded Analytics – To achieve optimum custom analytic user experience a visualization and dashboard design tool set is integrated. It embeds analytic functionality into your existing software product and will deliver a custom tailored analytic experience to you by blending big data from various data sources, relational database, and third party applications. It enables you to perform business operations more efficiently and effectively and thus boosting business revenue via faster business data analytics, better processing, and accurate results. Faster Analytics – It performs faster and unified analytics through temporal analytics engine over all types of data. Smarter Actions – In combination with prescriptive analytics, smarter and intelligent steps helps to achieve a better outcome. Accurate Outcomes – If the results obtained are not accurate and have flaws then the whole process and investment will go in vein. Vitria in addition to faster analytics also provides a result with high accuracy which is necessary for better business and strategic decisions. Real-time Big data Analytics – It is been identified as a core and strategic area for investment as it helps in maintenance and monitoring business needs with high priority. Command Center – It is inclusive of a powerful set of self-service tools and dashboard along with comprehensive business value indicators which help to enhance outcome by assisting you to manage and take a timely business decision. IoT market is on a growing spree and above-mentioned software will help you significantly in monitoring and extracting relevant data to perform business analytics with higher accuracy in comparatively less time. Business data analytics report produced by these software assists you in taking a best possible business decision and develop a strategic plan to tackle business challenges and boosts business growth in terms of size and revenue.